Reciprocating compressor solutions offer best in class fuel gas control due to the insensitivity of this technology to dynamic suction or discharge pressure and mass flow changes, gas temperatures and gas composition. The Laby®-GI Compressor fuel gas solution on top of that maximizes the operation flexibility due to the use of temperature insensitive, contactless and oil-free labyrinth sealed first compressor stages, eliminating the need for gas pre-heating or compressor pre-cooling. This enables the operators to immediately startup the compressor when needed. Operational flexibility: The Laby®-GI is insensitive to parameters such as suction temperature, gas composition and suction pressure and can be operated very efficiently over a wide range of process duty parameters. To mitigate vibrations that may damage the tank systems, the Laby®-GI Compressor solution is fully balanced and vibration free. 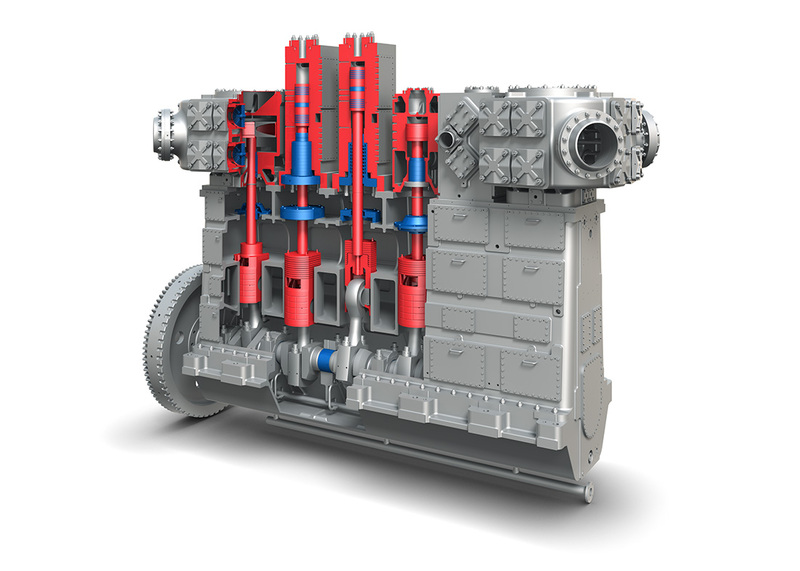 Burckhardt Compression offers compressor solutions that fully comply to the leading marine propulsion systems like MAN B&W ME-GI, Wärtsilä XDF, Rolls Royce/Bergen, Catterpillar/MAK and others. As your innovation partner for fuel gas supply solutions we have tremendous in-house experience in qualification and certification of our solutions with the leading marine certification societies. This includes in-house IAS (Instrumentation Automation System) expertise and required simulation capabilities. The Prognost® condition monitoring system additionally helps the operator to plan preventive maintenance to avoid unplanned shutdowns. At that highest level of availability and reliability there is no need to install redundant fuel gas compressors on board of the gas carrier.